Everybody’s talking about buying bitcoin these days. And it’s easy to understand, right? Bitcoin’s price is going through the roof. But the world of bitcoin is a tough place for rookies. Indeed, it’s so different that what you’re used to that you wouldn’t know where to start! Fortunately, in this article I’ll tell you how to buy bitcoins. Keep reading. What do you need before buying bitcoins in 2019? First thing’s first : Make sure you’ve checked the 3 points below. And be aware that buying bitcoin and other crypto-currencies may be risky. So you should only buy bitcoins if you can afford to lose this money. Indeed, bitcoin is still an investment and nobody knows what the price will be tomorrow! Bitcoin is the first crypto-coin invented in 2009 by Satoshi Nakamoto. And it’s both a payment network and a unit of account. Also, it’s exchanged through the Internet via peer-to-peer. The first thing to do before buying bitcoins is to get a crypto-wallet. Indeed, without a bitcoin wallet and a bitcoin address, you can’t store bitcoins. Once you have a wallet, you can create address that will allow you to receive and store the purchased bitcoins. A purchase of Bitcoin is mainly an exchange between a certain amount of your currency (dollars, euros etc.) and its equivalent in bitcoins. Depending on your exchange, you can use different method payments: Bank transfer, debit/credit card, PayPal etc. If you don’t know what exchange to use to buy bitcoins, check the best bitcoin exchange! Buying bitcoins with a credit card is the easiest and fastest way to get bitcoins. Many exchanges and brokers accept bank cards. And they’ll exchange euros for bitcoins after a simple verification of identity. PayPal is a very common way to pay online. Therefore, many people want to buy bitcoins with PayPal. While you’ll usually get higher fees, it’s possible to buy bitcoins with PayPal on some exchanges. However, you should be aware that payments with PayPal are reversible, while those using bitcoins aren’t. As a result, allowing users to convert a PayPal balance into bitcoins is rather risky. How to buy bitcoins with cash? 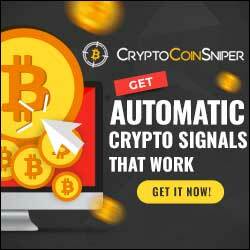 Want to buy bitcoin with the money from your bank account? Bank transfer is accepted on most exchange platforms and sites that sell bitcoins. The only drawback is that you’ll have to wait from 3 to 10 days before receiving your coins. This payment method is the best to purchase large amounts of bitcoin. Indeed, bank transfers generally offers the lowest fees. Purchasing bitcoin is mainly an exchange between your currency and bitcoins. After selecting an exchange based on your payment method, the process is generally the same everywhere. Following your registration, most sites will require a minimum of details about you: Email, last name and first name. And in some cases your address and telephone number. Then, depending on where you live and where your exchange is hosted, you may need to show some ID and proof of residence. Indeed, you won’t be able to get your first bitcoins otherwise… This is what we call KYC (Know your Customer). Depending on your payment method, the purchase process may be longer or shorter. Generally brokers allow you to buy bitcoins quickly by credit card, whereas exchanges often prefer bank transfer. And this may be troublesome if you want to get bitcoins quickly. To withdraw the bitcoins you’ve purchased, you gave you bitcoin address bitcoin when you registered. Brokers usually send bitcoins directly to your address. But exchanges display your balance in bitcoin on their site. And then you need to request a manual withdrawal of the bitcoins to send them to your wallet. Now that you know how to buy bitcoins, you need to know where. You can get bitcoins easily and quickly on the internet. And there are two categories of vendors: The exchange platforms and the brokers. You can also exchange bitcoins in person, with people you know or via a classified ad site. The exchange platforms (or exchange) are market places, where you can buy bitcoins under the principle of supply and demand. Indeed, exchanges determine the official price of bitcoin. The process is relatively simple: The platform connects buyers and sellers who want to buy and sell their bitcoins. The price of the bitcoin is determined on the basis of supply and demand. So if many people want to buy bitcoin, then the price will go up. And if many people wish to sell their bitcoins, then the price will go down. On a platform, you can place a bitcoin bid at the price you want. If a seller is ready to sell at your price, then your offer is processed. And you will receive the corresponding bitcoins on your account. Furthermore, if you submit an offer to buy at the market price, you’ll instantly receive your bitcoins. Because your offer will match the resale price of the sellers at the time you make your offer to purchase. Experts and traders usually use exchanges. Indeed, they can buy and sell several times during the same day, thus gaining on the volatility of the price. The brokers are much more accessible to beginners or people who simply want to invest in bitcoin. Indeed, they’re companies reselling bitcoins they bought or mined, at prices approaching the official rate. And they don’t apply the rule of supply and demand. Because you buy bitcoins directly from them, so they’re free to offer the price they want. This was my guide: How to buy bitcoins ? The best ways to buy bitcoin. Stay tuned for more coming soon.